With a reversible lounge seat you can sit at either end and lay back and let your worries be soothed away. Featuring a push-button retractable TV, and stunning lighting packages for a movie experience like no other. 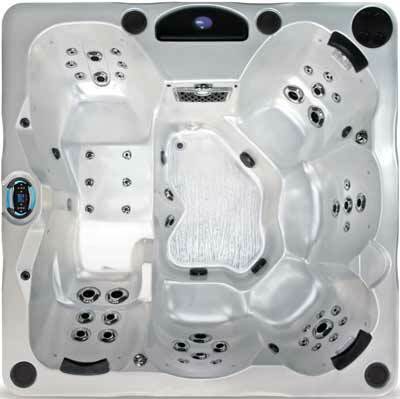 The Pacific is new to the Coast Spas line, first introduced in 2011. 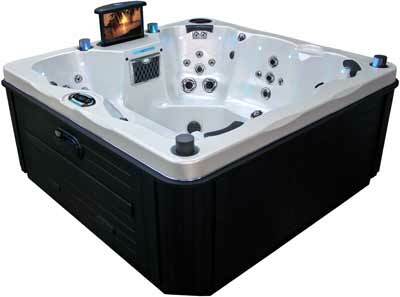 The sleak lines and spacious design make this designer spa more than just another hot tub. Dimensions: 91" x 91" x 40"